Single moms who are trying to make a better life for their children often find that reliable transportation is one of the most basic necessities. For many people, lack of transportation is the biggest barrier they will face if they want to be self-sufficient and work. In many rural areas, it can be impossible to get from home to work without a car because of lack of public transportation. There is simply no way for a single mother to take her children to school, to afterschool activities, to drop them off at daycare or to get to work without a means of transportation. As a result of this basic need, both state governments and the federal government, as well as charitable organizations, are dedicated to providing car programs for single mothers. A survey of people who receive assistance under the Temporary Assistance for Needy Families (TANF) program – the vast majority of whom are single mothers – found that most had limited or no access to a car. For many, going from welfare to work will be impossible without a car to take them there. A car is often the only means a single mother will be able to get to her job, or to multiple jobs. Without one, her earning potential is limited, and she is more likely to rely on government assistance instead of being able to make a living on her own. 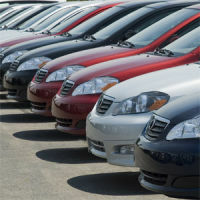 As a solution, the federal government made it attractive for people to donate cars when they want to get rid of them by offering a tax deduction. Since this policy was implemented several decades ago, donating a car to charity has become an increasingly popular choice for many people who no longer want their older cars. State governments soon followed suit by implementing car programs, many of which benefit single mothers especially. These state programs match cars donated to charity with people who receive government assistance as a means of helping them become more self-sufficient. If you are a single mother who is the sole provider for a family, you are a great candidate for government car programs, which can provide you with a car to own or to lease. Many charitable organizations have also gotten in the game of accepting donated cars in order to give them to people who need them, such as single mothers struggling to hold down a job. Single mothers who are finding lack of transportation to be a challenge can often look to charities that offer used cars at low or no cost. These nonprofits are also founded on the concept that providing transportation to people who need it will help them build a better life. They also make it attractive for people to donate their cars by offering to pick them up, clean them or store them so the donor can take advantage of the tax credit. A vehicle can truly transform the life of a single mother. If you are a single mother looking for a car program that can help match you with a car you can afford, look no further. These options can open a whole new world of opportunity for you and for your children by providing you with a car.